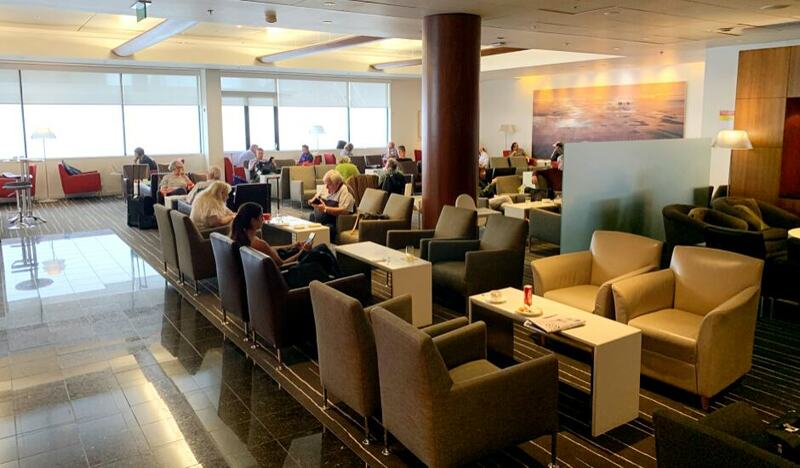 I was travelling on Qatar Airways from Auckland and as the Middle Eastern airline doesn’t have a huge presence in the South Pacific, they had teamed up with Qantas, their OneWorld alliance partner to provision lounge access for their business class passengers. 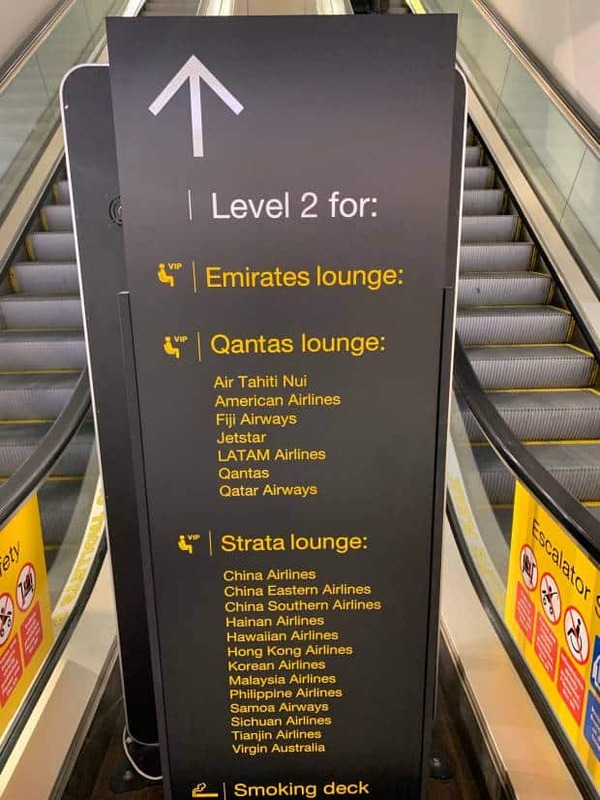 Just past the security and duty free on the right before the gates, the escalator promised three lounges catering for all the non Air New Zealand passengers. 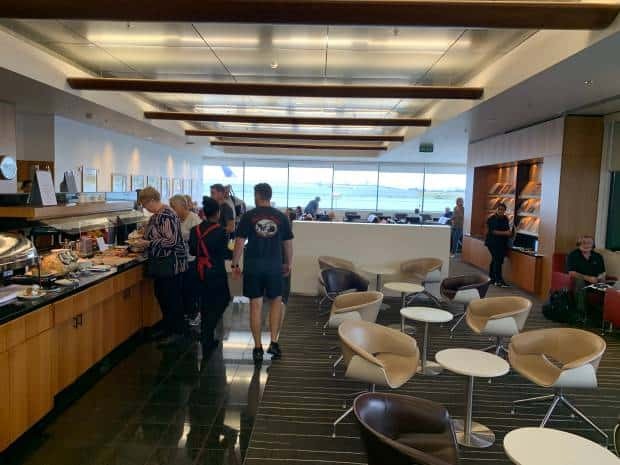 The Qantas international business lounge itself was big enough for the guest numbers while I was there, but I worried that during peak times they would run out of seating. 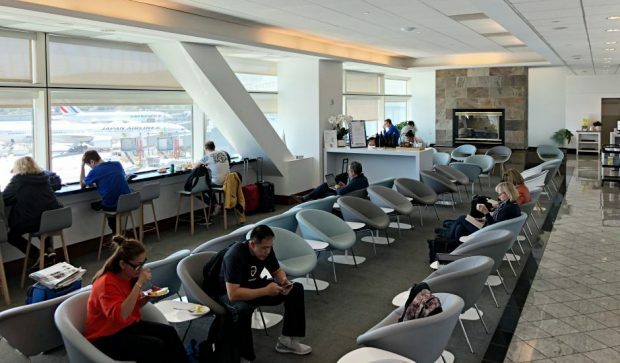 There was a range of seating options from larger tables for families, all the way through to comfortable arm chairs and more cafeteria style seating. 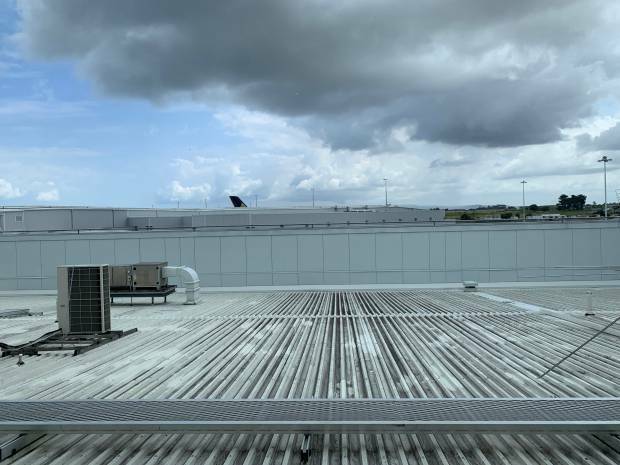 A wide wall of windows allowed a sliver of natural light to shine through and an uninspiring view over the roof of the terminal – the view of the actual planes was blocked by an intermediary building. But nobody sits in a lounge looking out the window, do they? Well maybe not here – I was more interested in the food situation! 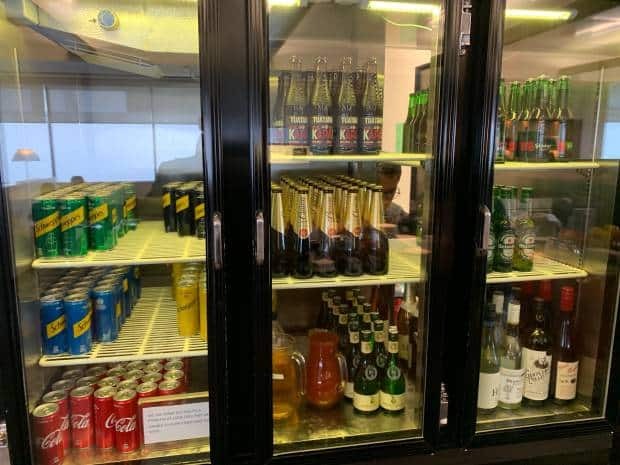 A well stocked fridge sat beside the spirits station, but the single food dispensing island opposite was where I spent most of my time. 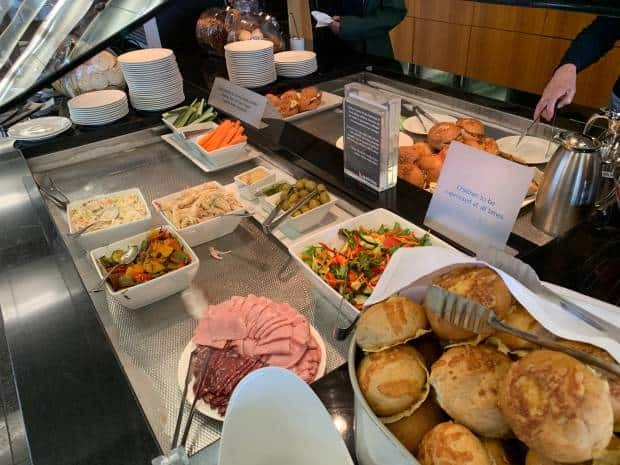 It wasn’t huge, but there was some thing there for everyone and I particularly liked the fresh plates of coleslaw, cold meats and vegetables and pasta which allowed a healthier option. Bread and soup meant that you could get something hearty if that was more your style and the prepared snacks included little filled rolls and wraps along with their vegetarian equivalents, along with sweet slices. 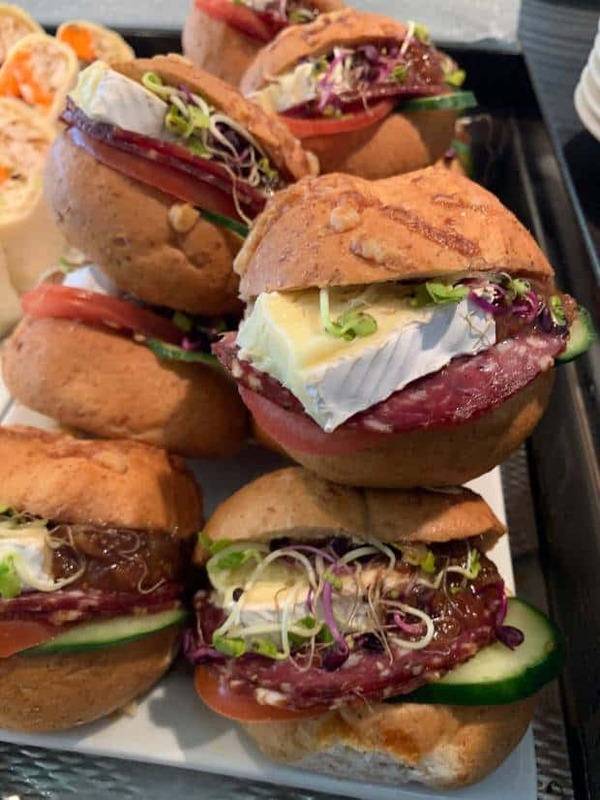 My favourite (and I may have gone back for seconds… or thirds) were their little rolls with salami and brie accompanied by caramelised onions. Delicious! On the way out I popped my head into the business centre which was almost totally empty. 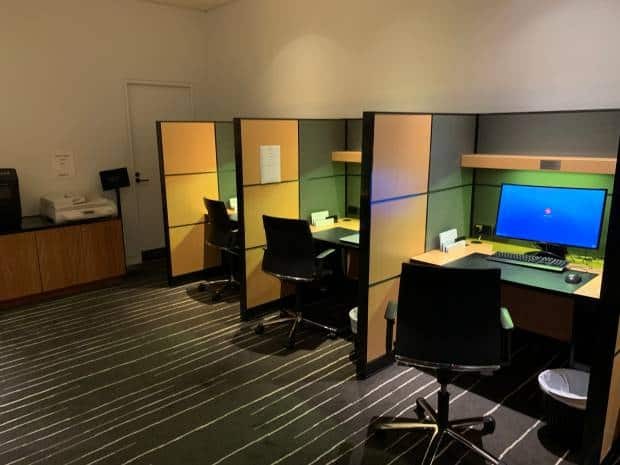 The wide curved screens were unattended, and the only noise came from one guy using the room as his telephone cubicle having a very important phone call. He glared at me as I walked in, obviously wanting privacy. I grinned uncaring as I took my photos and left. 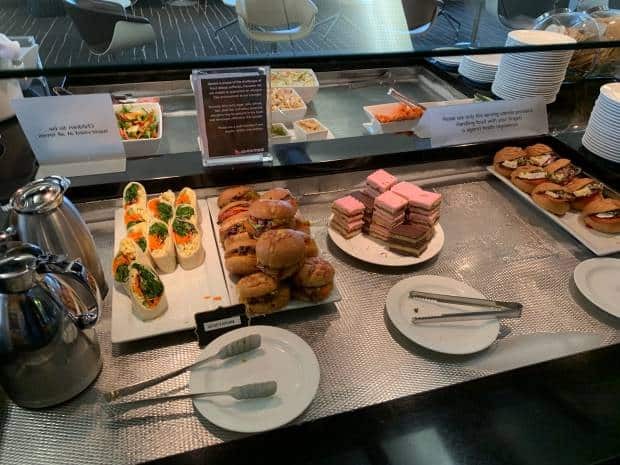 The Qantas international business lounge is pretty nondescript, and in any other airport it would not really be worth writing about. 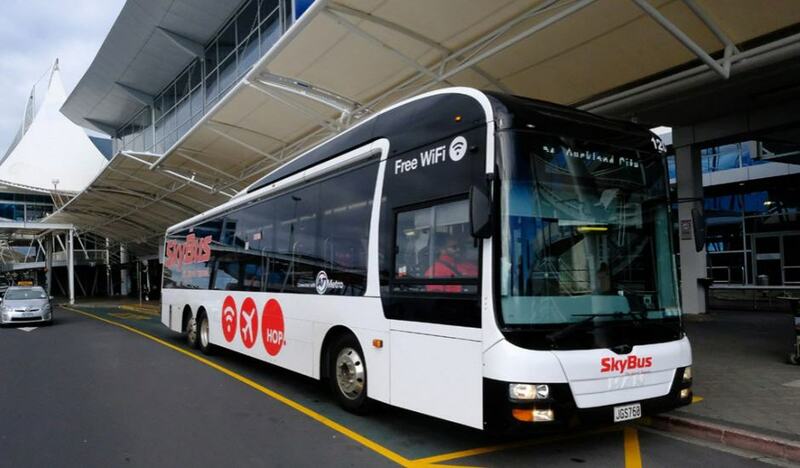 At Auckland Airport due to the lack of seating and construction, it gets bumped up a notch. It’s nice to have a comfy chair and not have construction sounds reverberating near you, so certainly value there!